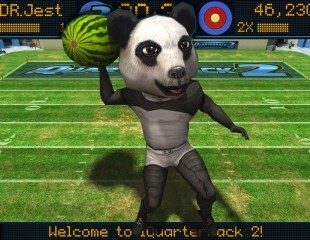 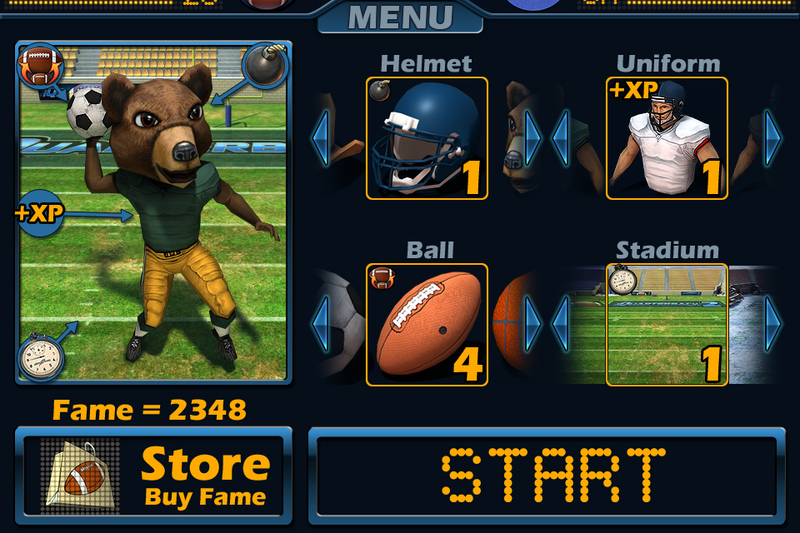 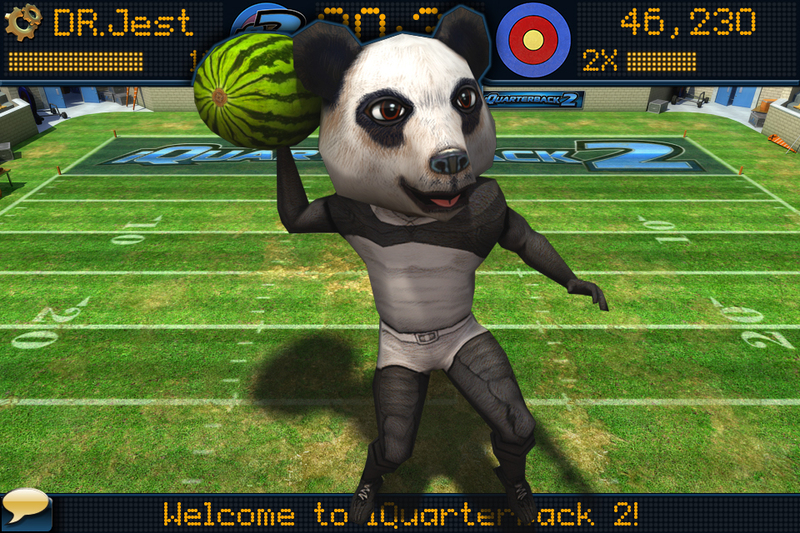 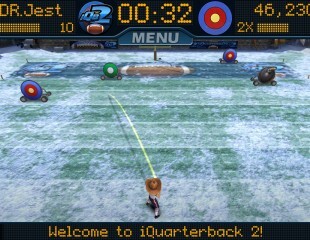 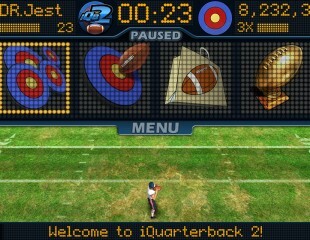 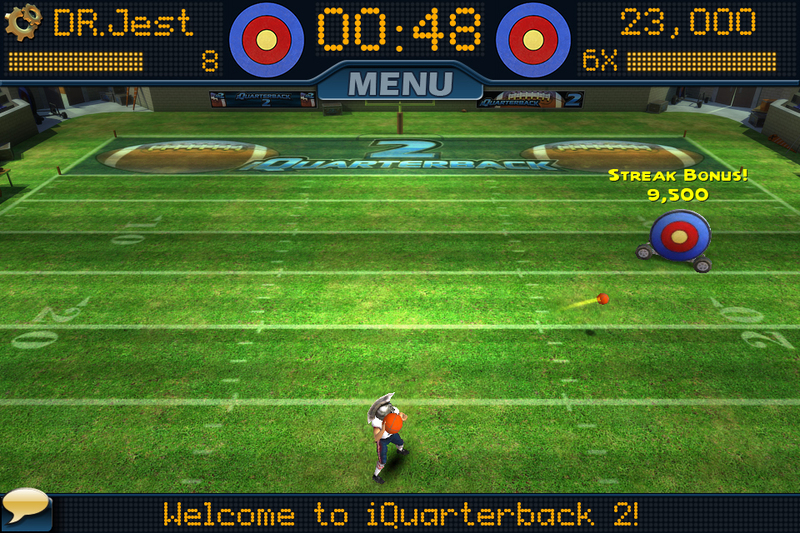 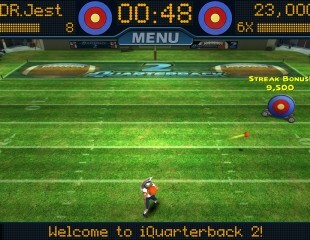 iQuarterback 2 lets you take your football career to a whole new level. 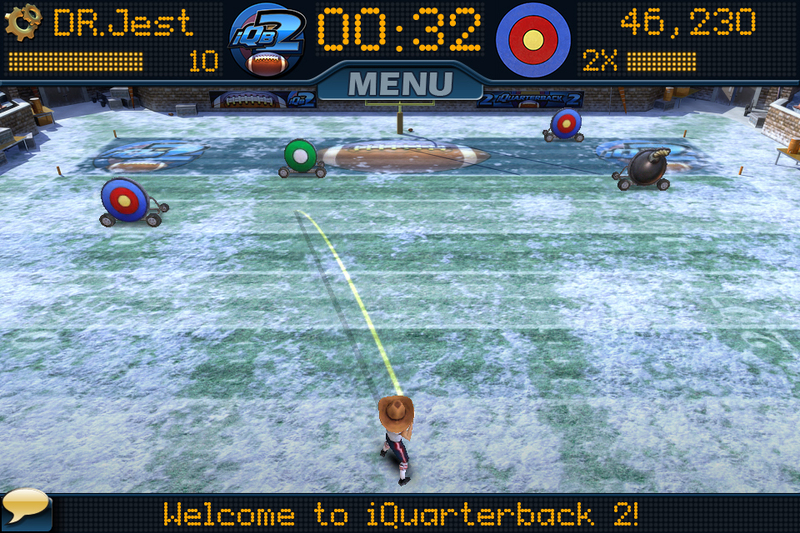 Whether you’re throwing footballs in the snow at moving targets or trying to power-up to achieve the highest score. 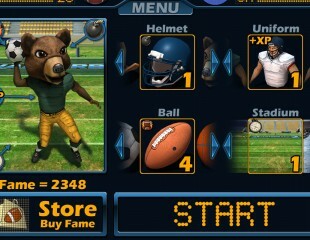 With the all new Fame, you will have more control over the outcome and look of the game than ever before. 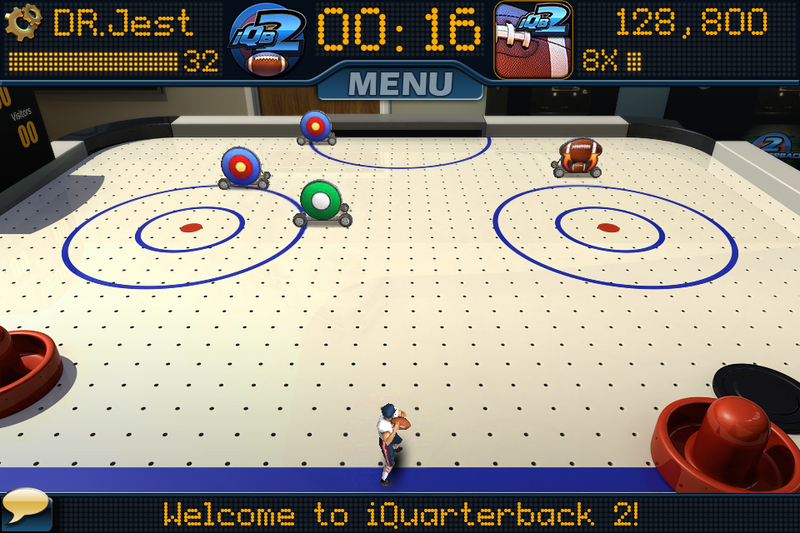 Unlock interesting items like mascot heads, snow balls and different environments, such as an air hockey table. 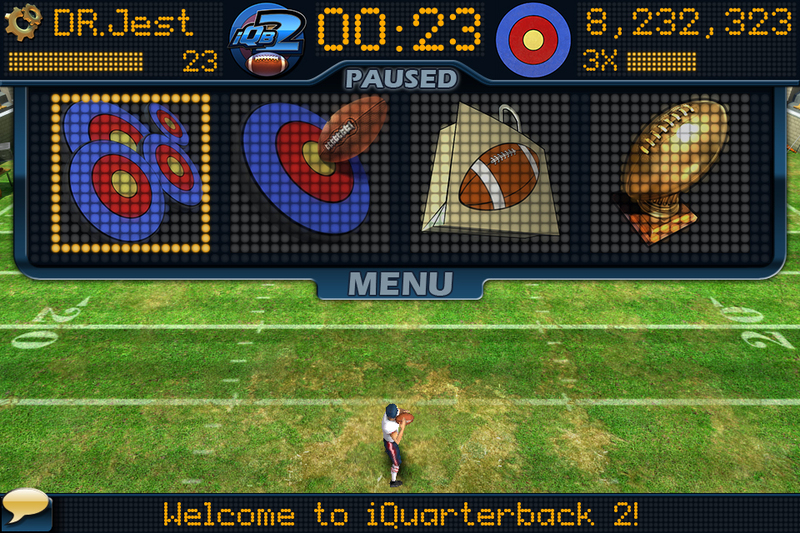 Level up your quarterback in two different game play modes, Shoot Out or Accuracy, and see how you stack up against the best of the best. 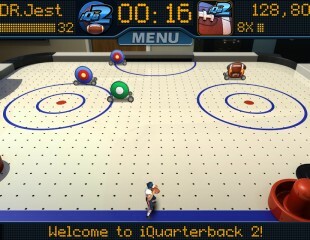 Battle between your friends through the Game Center achievements and high scores.